CEO of Desault Aviation Eric Trapier has denied all allegations of a deal between India and France regarding the Rafale Senani jets by Congress President Rahul Gandhi. In an interview with the leading news agency ANI, Trapier responded to a question on the allegations of the Grand Old Congress Party that "I do not lie". 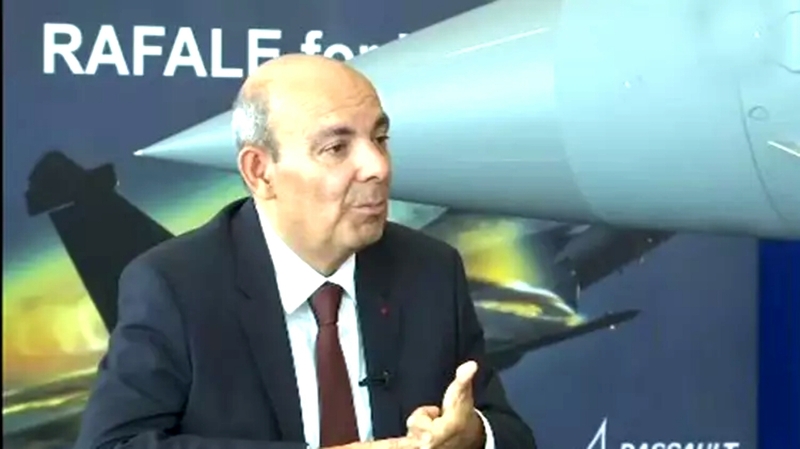 The CEO of Dassault Aviation noted that "I do not lie, the truth that I had declared earlier and the statements I made are true. I do not have the reputation of lying. In my situation as a CEO, you lie Do not speak. " Trapier recalled the French company's coalition with the Congress party in the past and said that the first deal with India was in 1953 during the reign of former prime minister Jawaharlal Nehru. "We have a long experience with the Congress Party, our first deal was with Nehru and other Prime Ministers in India in 1953. We are working with India, we are not working for any party. We are supplying strategic products like combatants to the Indian Air Force (IAF) and the Indian government, this is the most important thing. " Anil Ambani's Reliance Defense is being preferred as CounterAct associate, CEO of Dassault Aviation said that the money being invested was not going directly to Reliance but to a joint venture venture. French firm's statement: About 10 days after Congress scan, Rahul Gandhi blamed the company for giving Anil Ambani the "first ditch of kickbacks of Rs 284 crore".